Joseph M. Rey, MD, PhD, FRANZCP, a consultant child and adolescent psychiatrist, has worked helping children, teenagers and their families in Sydney, Australia, for more than 25 years. Dr Rey has been extensively involved in the management of services, teaching and training of family physicians, psychiatrists, psychologists and other professionals, and has published numerous research and educational papers, as well as several books, on child and adolescent mental disorders including substance use disorders. 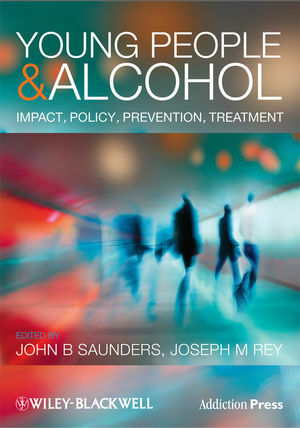 John B. Saunders, MD, FRACP, FRCP is a professor and consultant physician in internal medicine and addiction medicine. His career as a clinician, service director, researcher and academic in the alcohol and drug field in Britain and Australia extends back 35 years. He has worked with the World Health Organization for many years and was responsible for developing the AUDIT questionnaire. He is a member of WHO's Expert Advisory Panel on Mental Health and Substance Abuse, and was Co-Chair of the DSM V Substance USE Disorders Workgroup from 2003 to 2007. He has published two books and over 300 scientific papers, reviews and book chapters. Part I: The phenomenon and impact of youth drinking. Part IV: Assessment and diagnosis.